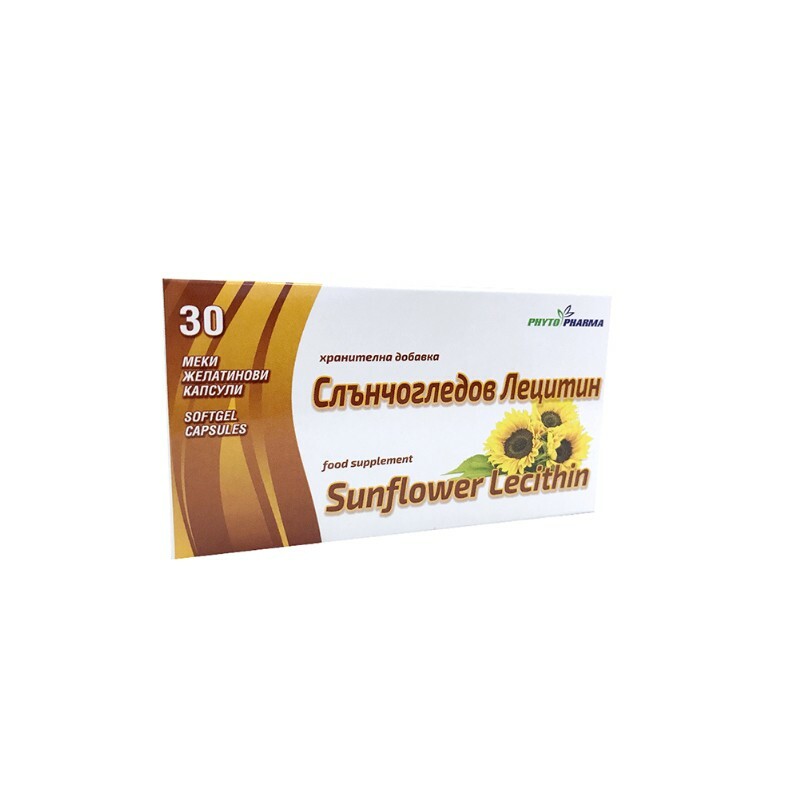 Sunflower lecithin is a natural source of choline that promotes normal lipid metabolism and normal brain function. - contributes to normal homocysteine metabolism, thus aids the cardiovascular system. As a dietary supplement for adults, take one or two capsules a day with meals. Keep out of children’s reach! Should not be taken by children! If you are pregnant, planning a pregnancy or breastfeeding, consult a physician before use! If you are allergic or have a condition, consult a physician before use! Do not exceed the recommended daily dose! The product is not a substitute for a varied diet! Lecithin (32% phosphatidylcholine) is the most common phospholipid in the human body. It is an integral part of the body's cells and actively participates in important physiological processes. 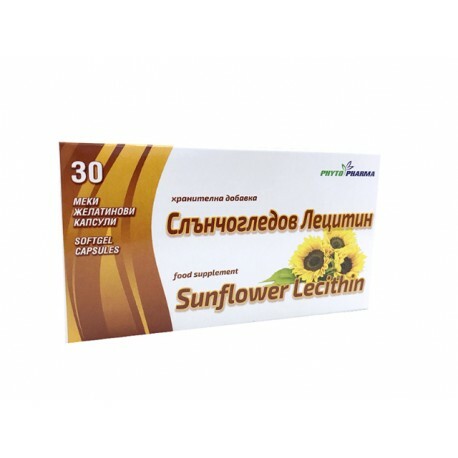 Lecithin is a natural source of phosphatidylcholine, which is converted in the body into choline, needed for normal metabolism of homocysteine​​. Homocysteine ​​is a product of the metabolism of methionine, which is found in eggs, meat, milk, etc.. animal foods. Homocysteine ​​is a protein whose elevated levels in the body can result in impaired function of the heart and arteries. Lecithin is found in high concentrations in soy beans, from which is extracted as a pure product for the food industry and medicine.